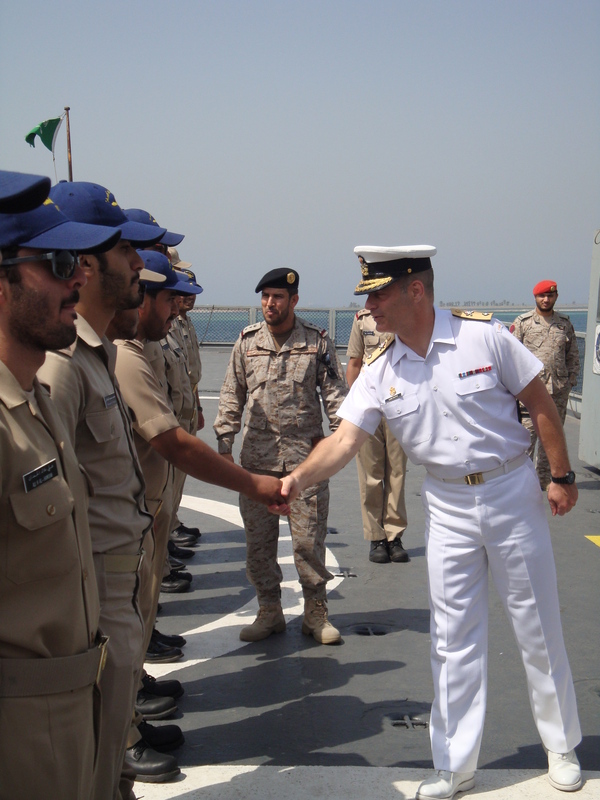 Commodore Brian Santarpia, Canadian Commander of Combined Task Force 150 (CTF-150), recently completed a visit to the Kingdom of Saudi Arabia to further deepen the cooperation and information sharing relationship between the Royal Saudi Naval Force (RSNF) and Combined Maritime Forces’ (CMF) counter-terrorism and maritime security task force. 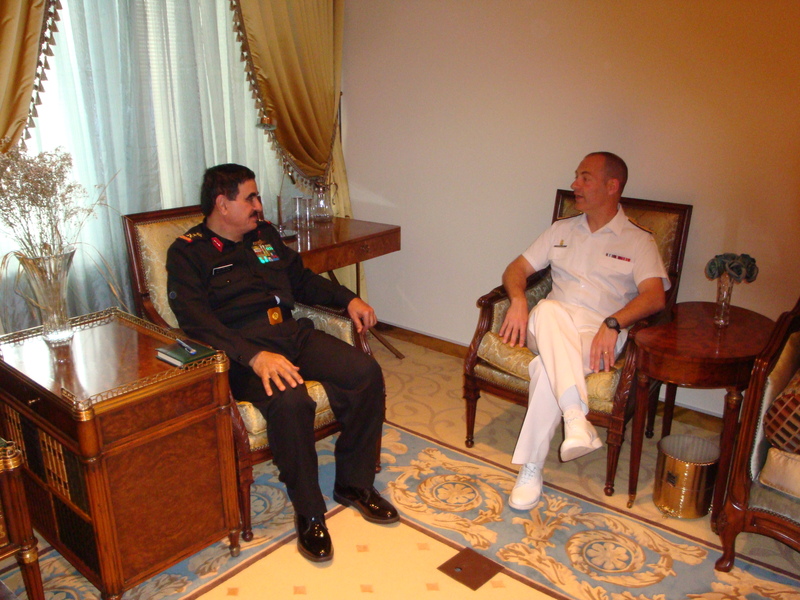 During his two-day visit, Commodore Santarpia met with Vice Admiral Abdullah al-Sultan, Commander Royal Saudi Naval Force (RSNF), and Rear-Admiral Omar Al Thubati, Staff Officer to the Deputy Commander Western Fleet RSNF and other key leaders in both the RSNF headquarters in Riyadh and the Western Fleet in Jeddah. CMF recognized Saudi Arabia’s overall contribution to the leadership and security of maritime safety in the region and their continued efforts to provide momentum to maintain the security and prosperity throughout the region. The visit provided an opportunity for both delegations to provide a comprehensive brief on each other’s composition and capabilities. The discussions then focused on the ways each force can work better together to secure the maritime safety of the Gulf, Red Sea and the Gulf of Aden. “The RSNF remains an important contributor to peace, prosperity and stability in the region. The presentation by our partners from Saudi Arabia was very interesting, providing an insight into the maritime capabilities of a key regional country. The exchange of information is essential to enhancing the way in which we work together in safeguarding the Middle East waterways from terrorist activities,” commented Commodore Santarpia. CTF-150’s recent visit to Saudi Arabia continues a series of regional engagements which has seen the leadership of CTF-150 working to strengthen regional partnerships and improve interoperability between CMF ships and aircraft and regional naval and maritime security forces.